It makes you respect everyone. It improves your behavior towards people. 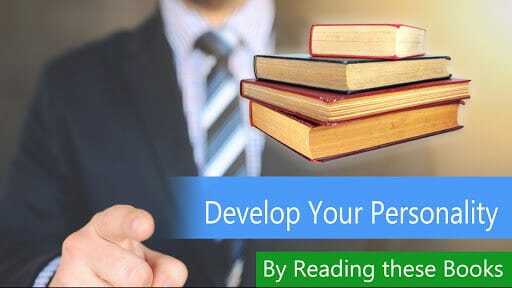 There are personality development books which will help you in becoming more assertive and improving your self-confidence. Following is a selection considered to be the most transformational for people who want to bring about change in their lives. These books are the grandfather of all the personality development books and the purpose that they serve is to inspire and motivate people and to bring a feeling of self-empowerment. Each title below links to a free PDF download. Take a look! Focusing on motivating people, this is a personality development and self-help book. The author was inspired by a Scottish-American businessman Andrew Carnegie. The author has not only focused on how to get rich as the title suggests but the idea in the book has taught people to succeed in all area of work and to do anything and everything that they want to. Lots of experimentation and research is conducted by the author and his colleagues on human motivation. The book is a perceptive and stimulating meditation to help the people to get more engaged and successful in accomplishing their goals in different areas of life like school, workplace or in relationships. The book is a guide for teachers, parents, and managers that offers a vision of how to encourage learning and efficacy. The author wrote the book by arguing that people get motivated more by self-sufficiency and independence than a system of punishments and rewards. This nation’s bestseller has explained the strategies and techniques which will help you to master your emotions, feelings, body, relationships and your life. The author has provided a step by step guide to help the people to learn the lessons of self-mastery. It will help you to discover the true purpose of your life, to take charge of your life and to join the forces that will shape your destiny. One-third of the people in the world are introverts. These people prefer to listen than to speak, don’t like self-promotion, don’t like working in teams rather work on their own. The author has explained that what you lose in life by undervaluing the introverts and has introduced to the successful introverts. The book displays a power to change people’s perception towards the introverts and has helped the introverts to change how the way they see themselves. Creator of popular motivational series “Chicken Soup for the Soul”, the author Jack Canfield has been inspiring people for many years. In this book, the author has explained methods for transforming your lives by giving you ideas to improve your life and be successful. The book has explained the excellent principles that if you apply them to your life and if they worked, you will achieve the success that you desire. I think it's inspiring and healing to read at least a small portion of a personality development book on a daily basis. It can make a real difference in how you see yourself and the world around you. Even if you find it difficult at first, it’s worth to read a book whenever you get time. It only takes commitment to start and then you will surely see positive changes all around you. AUTHOR BIO: William Lucas is an IT professional and a technology enthusiast who reads and writes every day on emerging technologies and their implications in various sectors such as education, communication, business, etc. For more than a decade, he has been working for the Australian company Assignment Help as an essay writer to assist students in writing better academic essays and articles.